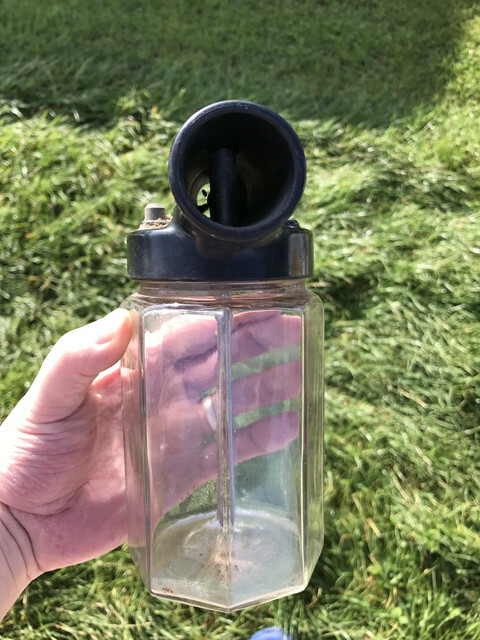 Vintage Bottle Sprayer find - what's it from? Hi. I'm new to the forum. I found something interesting yesterday that I wanted to share. Initially I thought it was a vintage car washer bottle but have since found out it's a spray bottle. It's very interesting to look at. But it'd be better if I could pair it with it's original cleaner. I've popped it eBay with limited info. I was wondering if anybody had anything else I could add? 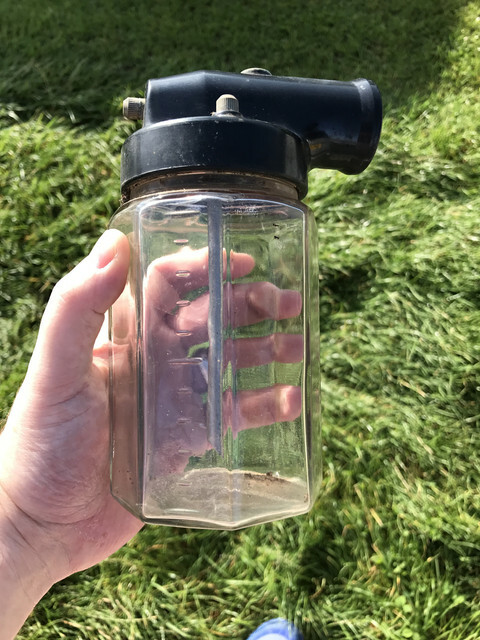 Re: Vintage Bottle Sprayer find - what's it from? 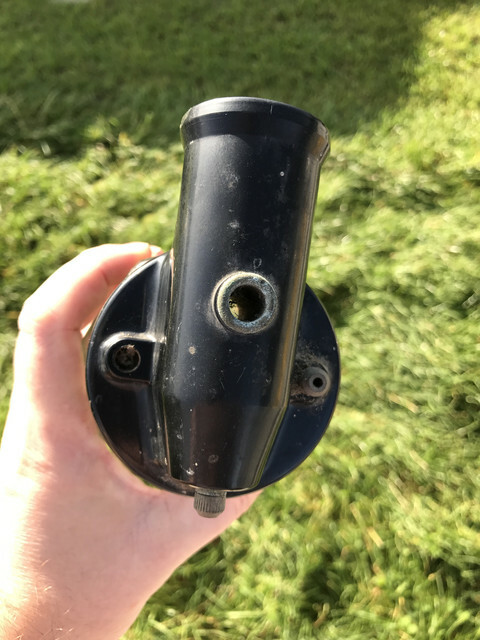 it will be from an Electrolux cylinder! Their not my area of expertise, so can't help on the model number but they are for spraying moth repellant on clothes, or air freshener around. Of course, people have used them for painting in the past! You hooked the hose up to the blower port on the vacuum and fill the jar with stuff! thanks for the quick reply. Great info. I've never seen one before so I'm glad I posted here. Hoover also did them as did Goblin. 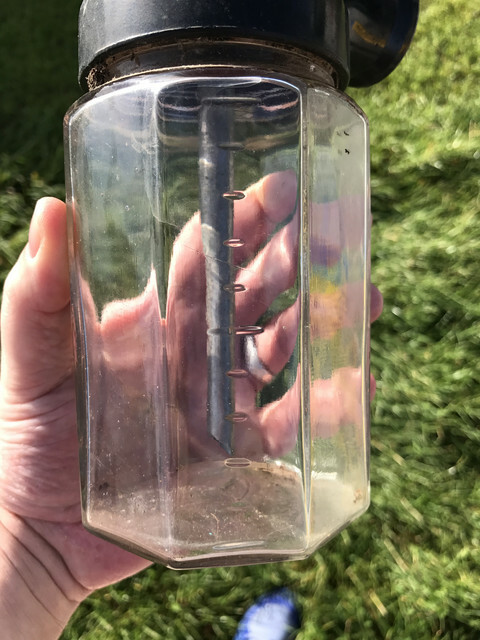 there's no markings on it as such. I was wondering if it's a generic item. It does have both nozzle attachments which i thought was cool. They could well be third party generic items.